Hi, I’m Mary Guiver, the wine, beer, and spirits buyer for Whole Foods Market, specifically for the Northern California and Reno region. I’m contributing to Cooking Stoned to help consumers like yourself better understand the ever-changing landscape of sustainable food and drink. I’m going on my tenth year in the industry as a produce buyer, certification coordinator (think USDA Organic), and booze specialist. My goal here is to empower you, whether you’re grocery shopping or visiting a vineyard, so you can ask the right questions (and get out of your oenological comfort zone a bit). Shall we begin? Let’s face it, wines that are good for the planet have not always been…good. However, lot of these wines are good, even great, but this bad rap has not only turned the common consumer away from eco-friendly wines (I hate that term), but keeps winemakers in the closet, if you will. I’d argue that it’s important to get on board with these wines, but not without understanding what that means. There are more than a few misconceptions about hippie wines out there: wines grown or certified organic, no sulfites added (NSA), biodynamic, etc. Oddly enough, these “non-traditional” wines are anything but. It wasn’t that long ago that wines were grown completely without the assistance of chemical pesticides, and through much of history not made with sulfites either.. Eco-friendly wines are the future, but they’re also most of winemaking history. Given climate change and the crazy drought we’re facing here in Northern California, wineries must rethink their approach to recycling water and repurposing resources if they’re going to survive. For example, look at Kendall Jackson. They’re a huge winery, generations old, and it was within the last few years that they made sustainability a priority and got certified. It’s indicative of a larger trend – even large companies with a history of conventional production are putting practices in place that will make a difference. And until we, as consumers, take the time to educate ourselves on why “alternative” wines deserve our respect and attention, they will continue to be ostracized in a corner of every wine department as…different. At Whole Foods Market, at least in Northern California, we’ve seen double digit sales growth among sustainable wines. I’d argue it’s in no small part due to the fact that more wineries are producing sustainably; some even put it on the label. But either way, folks are buying and enjoying them, and sustainable wineries are succeeding. 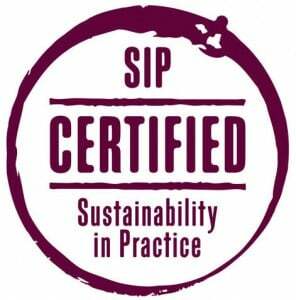 But what does sustainable wine mean? To understand what it is, let’s talk about what it isn’t. These wines have limited regulations as far as pesticide control, sprays, practices, and fining agents. That is, you might be surprised as to what is allowed. Bottles have pretty labels and no certification, that’s it. I won’t go into vegan/vegetarian wines here, but it is usually the fining agents which make a wine not vegan or not even vegetarian. If you’re interested in this topic, let me know in the comments and I will cover it. In the meantime, check out this great Fall Down Friday post on vegan wines. Hopefully everyone knows this by now: the term “natural” is a completely unregulated word when it comes to food and drink. That said, there are a lot of good winemakers that refer to their wines as natural, though there is no legal definition in the US. But really, I could put battery acid in a bottle and call it “natural,” because there is no agency or organization empowered to call me on it. The first step in the right direction. A lot of larger wine producers are taking measures to be more sustainable, and they love talking about it. But what does it mean? Sustainable wines come from producers that practice greener efforts, such as renewable energy, and strive for lower waste and emissions. There are several domestic third-party certifiers such as CCSW and SIP, but wineries can claim they’re sustainable without anybody certifying it. It’s still a subjective discussion. Some have the seal; others don’t, and there’s no way for us individual shoppers to really check. One thing to know: “sustainable” does not necessarily mean “produced/grown without pesticides or herbicides.” It has more to do with operations than the grapes or the juice. If you’re not sure what you’re buying, contact the winery or speak to a wine specialist at one of our stores. They can explain. Or reach out to the winery, like I said, they like to talk about it. Anyway, there’s a list of which practices are allowed and which aren’t. It’s about avoiding synthetic pesticides on the fruit and in the soil while swearing off GMOs. As with all organic products, a very small percentage of non-organic ingredients are allowed, but in general, the grapes themselves and the yeast used for fermentation must be organic. A small amount of sulfur dioxide (a.k.a. sulfites) is produced naturally when you convert grape juice into wine via fermentation. However, in the last few centuries, winemakers started adding sulfites to their wine as a preservative. It became common practice. A few years ago, however, sulfites became a bad word and people began associating sulfites with a physical reaction to wine. Reality Check: you are either allergic to wine or you’re not, but to say you can’t drink red wine (for example) because of the sulfites is a misconception…all wines contain natural sulfites. So people associate sulfites with “bad;” they start seeking out NSA wines. While that means something else for online dating, here it means no sulfites added. Problem was, a lot of the early NSA wines on the market were a little different from what people were used to, and they developed a weak reputation among the wine-drinking world, which fostered the anti-NSA movement. Wait, is that a double negative? See how confusing this all is? Anyway, I digress. I’m a child of history, and when you do your research, adding sulfites to wine is a relatively new practice in terms of how long people have been drinking wine…who says we need them? The NSA debate rages on and I leave the final call up to your preference. Not to go ALL the way down the rabbit hole, but most studies find that when someone has a bad physical reaction to wine, it’s actually a histamine issue, not related to sulfites. Take an antihistamine, maybe drink less, or switch to white wines which are naturally lower in histamines than reds. Getting back to organically-grown vs. organic wines: to be a fully a 100% organic wine, you are not allowed to add sulfites to your wine (naturally occurring sulfites are present, just as they are in dried fruits, like apricots or raisins). Organically-grown means all organic growing practices were intact when the grapes were grown, but after they were harvested, all bets are off. Sulfites can be added, the bottling line could be used for both conventional and organic wines, etc. But the grapes themselves are organic. So as a customer, if you are part of the anti-NSA movement, but want to start seeking out wines that are doing their part to protect the environment and avoid GMO’s, “organically-grown” is a good place to start. I was on a biodynamic farm last week. It’s next level sh**. I am thrilled to share this with you. Organic growing and winemaking practices are the first step on the Biodynamic journey. 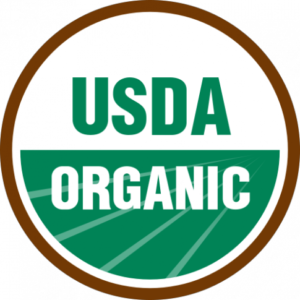 Because being organic is necessary to earn your Biodynamic certification, many Biodynamic growers won’t bother being certified as organic as well and I can’t say I blame them, it’s expensive and redundant. There is one certifying agency for Biodynamic, called Demeter; you cannot claim to be Biodynamic without their say-so, and they check up on you annually to make sure you still qualify. Turns out Biodynamic certification isn’t cheap, so the chances are good that some wineries are practicing biodynamically without putting it on the label. Of course, as a retailer, we would never tell you a wine is biodynamic unless it’s got that Demeter seal on it. Biodynamic is a holistic approach to agriculture. 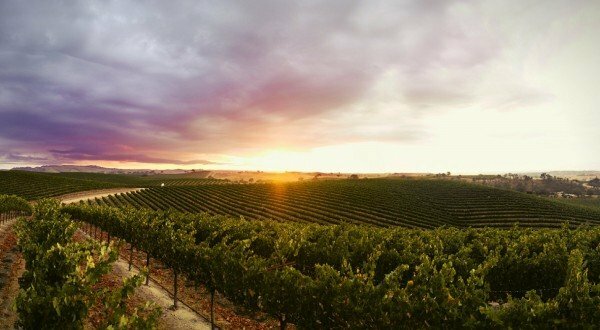 As it pertains to wine, the land and vines are one entire being; everything is connected and cyclical and tuned into the patterns of the earth such as the equinox, sunrise, sunset, etc. Animals are a major part component: they graze and trim the vegetation around the vines, while fertilizing the soil. A huge piece of the fertilization pie is an incredible practice I got to witness this past week: every autumn, animal poo is collected off of the land, packed into a cow horn along with ground crystal and buried on the property until springtime (the more acreage, the more horns). We were there when they unearthed the horns. Months after being buried the manure is now officially fertilizer. It’s jet-black and so nutrient-rich you feel like it might melt…or maybe combust into its own brand new universe, a mini-big bang if you will. This concentrated fertilizer is diluted in a barrel of spring water and churned for an hour exactly, in a very specific method to ensure the water and nutrients connect thoroughly. This fertilizer-water is then brought into the fields and sprayed on the earth. Take that Miracle-Gro! That’s some serious zero-waste, soil-loving, plant-growing fuel! And that’s just one component of Biodynamic. Their animal welfare standards put the USDA to shame; check out their website for more info. If you love the earth and you love its creatures, you should be focused on supporting Biodynamic wines (and produce). Moral of the story: we’ve got miles to go in wine transparency. And if it’s important to you that wine is produced sustainably, you’ve got to vote with your dollars and buy planet-friendly wines. You now know the “what” part of planet-friendly wines, so how about the “who?” Here are a few vineyards and wineries worth keeping an eye out for or even visiting. Frey Vineyards (Redwood Valley, CA): the very first organic AND first Biodynamic wineries in the US, also family-owned to this day. At the risk of tooting my company’s own horn, we were the first to carry their Agriculturalist wines. They were the pioneers and they continue to produce delicious wines. It’s a really great product and a fantastic price considering all the extra devotion they put into growing wine with a conscience. Badger Mountain (Washington state): one of the early pioneers of organic & NSA wines. Beautiful bottles and fully organic. 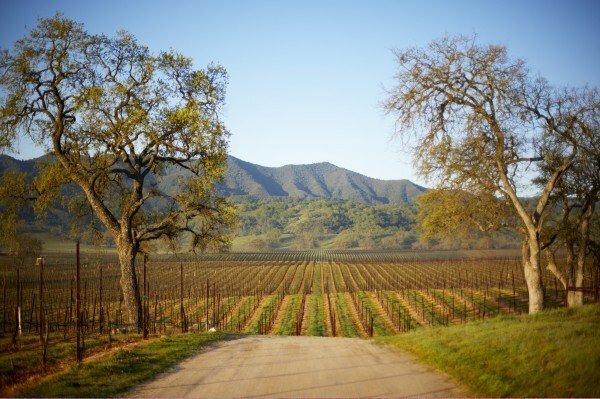 Heller Estate (Carmel Valley, CA): organically-grown, small production wines from the central coast. Check out their Chardonnay or Cabernet. While these wines are wallet-friendly, being certified as organic or biodynamic is not cheap at all. These wineries made a choice to practice what matters most to them and invest in a regulation that they believe has a future in wine. I believe it, too. As consumers, we vote for environmental practices by what we purchase. So many of us are conscious enough to buy organic, non-GMO produce, cage-free eggs, wild-caught seafood, etc., but this kind of consciousness hasn’t yet translated to wine (or beer for that matter…don’t get me started). The wine consumer mentality has actually caused organic growers to shamefully hide their certification seals on the back of their labels, because shoppers are turned off by the thought of organic wines. It’s time to start contributing to a solution, starting with educating ourselves and, from there, making awakened and informed decisions about what we put in our body. What does my purchase mean for my own health? How does my purchase help reshape an entire industry? Twenty years ago, organic produce was basically a freak show, with few retailers giving it the time of day, especially on a large scale. Farmers markets and small-scale produce stands contributed to an eventual massive shift in customer awareness via education that lead to customer empowerment. 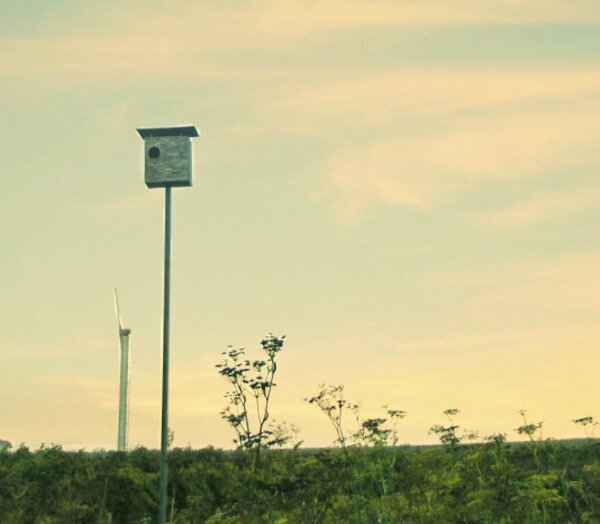 We could no longer turn a blind eye, and visions of a future where land is no longer viable started to take shape if we the consumer don’t step up…and now look at the progress. Customers are educated; organic labels are proudly displayed at suburban big-box supermarkets, and mainstream consumers are clamoring for even greater transparency and action on GMO labelling, pesticide use, and other earth-friendly initiatives. Wine is no different than any other crop; it’s agriculture at its most ancient. We need to wake up! But we also need to keep drinking wine! What better way to save the world then with a few glasses of good wine that’s great for the planet?